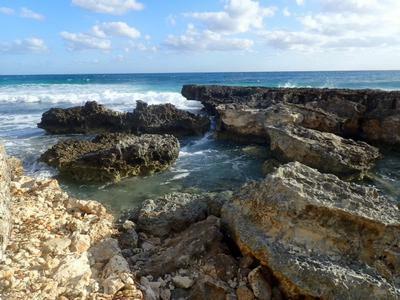 Over the last three years I've taken a number of different rods on my expeditions to Isla Mujeres, Mexico. This year I settled into a small basic kit of rods that I think will become the standard setup. Number one on the list is the Daiwa Kiyose 33SF. 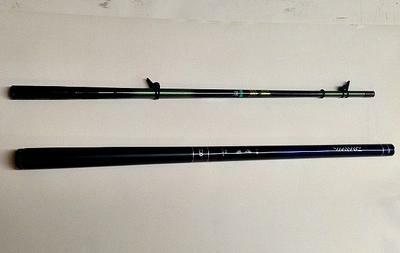 This was the second rod I bought three years ago and it has proven itself time and again in many different situations. It seems to be a good comprise in length around the rocks, enough reach but not too long when things get tight. Most importantly, its stiff tip will handle whatever is needed from shot to bait to Clousers. It will also handle the fish you catch. I've used mine for San Juan trout, bass, catfish, gar and almost a Red Snapper (rod did great, fisherman not so much). This was my first year in Isla with the 33SF, but I ended up using it almost 90% of the time. For small tide pools and micros I use a Kiyotaki 18 with a short "lantern fishing" rig. I start with 6-8 inches of red Amnesia and then 18 inches of 6X or 7X and a BB shot. When sight fishing little fish in small pools I might shorten the tippet to 8 inches and go with a tiny bead head fly and no shot. This setup is very effective in tight quarters and also negates the wind which is always a factor. This is also a fairly stiff rod which has it's advantages. A very short rig with a piece of shot will bounce itself into oblivion around the rod tip in an eye blink. The less wiggle in the tip the better. Also, a 10 inch grunt on a two foot line is a whole other thing! The ocean is big so I brought a big rod. 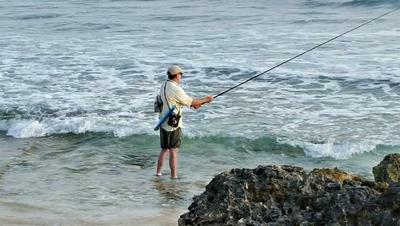 I have yet to catch a fish in the surf with the Kiyose 53M but it's only a matter of time. A 17 foot rod with an equal length of line covers the area between the breakers and the beach quite well. Now I've got to learn the time, the place and the rig to make it work. The shore is a keiryu rod kind of place. Unless of course it becomes a carp rod kind of place. Onward to Florida in April.